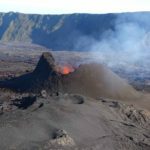 le chaudron de vulcain – September 22 , 2018. EN. Mexico : Popocatepetl , La Réunion : Piton de la Fournaise , Indonésia : Merapi , Alaska : Veniaminof , Indonesia : Anak Krakatau . September 22 , 2018. EN. Mexico : Popocatepetl , La Réunion : Piton de la Fournaise , Indonésia : Merapi , Alaska : Veniaminof , Indonesia : Anak Krakatau . Home / Alaska / September 22 , 2018. EN. Mexico : Popocatepetl , La Réunion : Piton de la Fournaise , Indonésia : Merapi , Alaska : Veniaminof , Indonesia : Anak Krakatau . The Popocatepet volcano erupts for the second day in a row and leaves an impressive cloud of smoke and ashes in the sky. It expands rapidly and reaches in a few seconds a height of three kilometers. Authorities have issued a warning to nearby towns as the smoke heads towards Cuernavaca in the state of Morelos. On the first day, the Popocatepetl had already issued a warning by throwing molten rocks at a height of 300 meters. This same volcano was in crisis last year and precisely in September. The authorities issued the same warning as at that time: yellow alert phase 2. In the last 24 hours, thanks to the monitoring systems of the Popocatepetl volcano, 76 exhalations accompanied by steam, gas and small amounts of ash have been identified. In addition, eleven explosions yesterday, and two this morning at 1:48 and 3:17. In addition, 542 minutes of harmonic tremor of low amplitude were recorded. 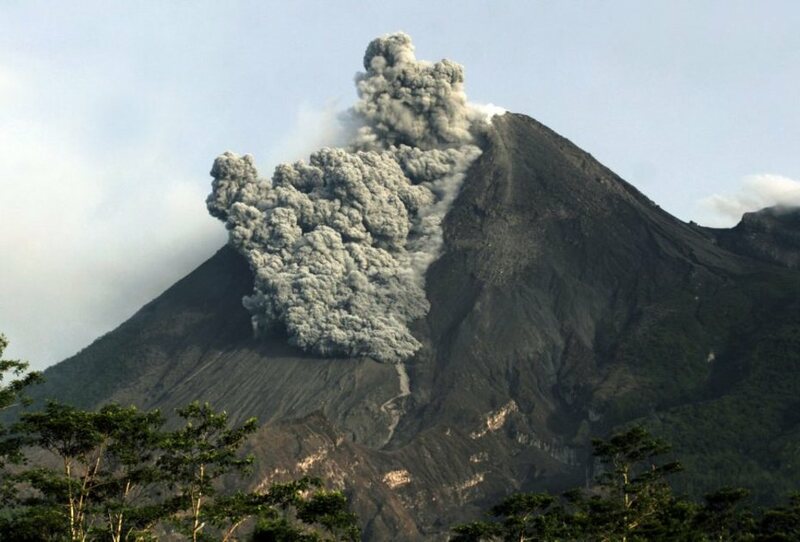 During this report, it has intermittent visibility of the volcano, it is found that the emission of water vapor, gas and ash from time to time, is dispersed by the westward winds. CENAPRED asked not to approach the volcano and in particular the crater, because of the risk of falling of projectiles, and in case of heavy rain to remain far from the bottom of the ravines because of the danger of landslides and flows of mud. The Popocatepetl warning light is located at Amarillo Phase 2. Sources : abc.es , Cenapred. 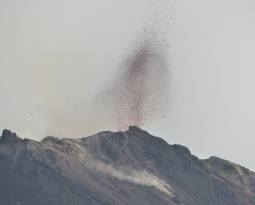 The eruption started on September 15th at 4:25 am local time continues. The volcanic tremor (indicator of eruptive intensity at the surface) has remained relatively stable in the last 24 hours despite some slight fluctuations (Figure 1). – No volcano-tectonic earthquakes were recorded beneath the summit craters during the day of 20 September. A volcano-tectonic earthquake was recorded during the current day. – No significant deformity is noticeable since the beginning of the eruption. – The surface flows estimated from the satellite data, via the HOTVOLC platform (OPGC – Clermont Auvergne University) are between 2 m3 / s and 5 m3 / s over the last 24 hours. 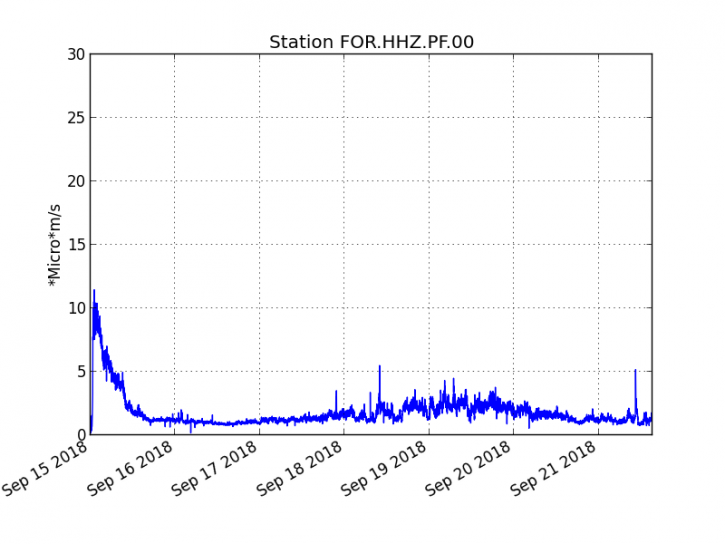 – The SO2 emissions recorded by the OVPF’s permanent sensors are much higher than the atmospheric background (related to the volcanic gas plume), and have remained stable over the past 24 hours, in line with the stability of the flows observed at the surface. Continuing construction of a volcanic cone. The cone now reaches a height of 30m on its eastern part. The east wall of the cone, particularly vertical (Figures 2 and 3) is covered with numerous scales and cracks (Figure 3), and threatens to collapse. Inside this cone a regime of 3 fountains was always particularly active. The lava flows are still continuing and are particularly well channeled. The flow front advanced several hundred meters from the last survey on September 19, threatening an OVPF station. This station will be evacuated by an OVPF team tomorrow. Lava samples were taken by an OVPF team about 1 km from the eruptive site, samples of which will be sent to metropolitan France for analysis. 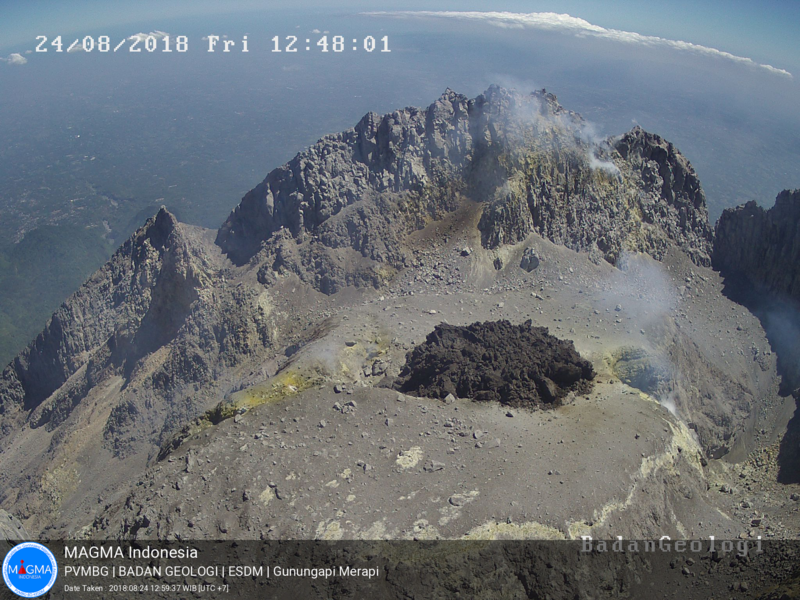 PVMBG reported that during 10-16 September the new lava dome in Merapi’s summit crater continued to slowly grow. By 16 September the volume of the lava dome was an estimated 112,000 cubic meters, and the growth rate was 1,600 cubic meters per day. White emissions of variable density rose 20 m above the summit. The Alert Level remained at 2 (on a scale of 1-4), and resident were warned to remain outside of the 3-km exclusion zone. Post-phreatic eruption series from May 11 to June 1, 2018 Mount Merapi volcanic activity, particularly seismicity, fluctuates in a range above normal conditions. On July 18, 2018, there was an increase in seismicity in the form of 8 earthquakes type VTB, 18 earthquakes type MP and an earthquake type FL. On August 1, 2018, an avalanche was recorded by Babadan Post. On August 11, 2018 at 8:00 am, a large earthquake occurred. A roar was heard by the residents of Deles. On August 12, 2018, photos obtained from the drone survey showed the presence of new materials appeared in the middle of the lava dome fracture after 2010. 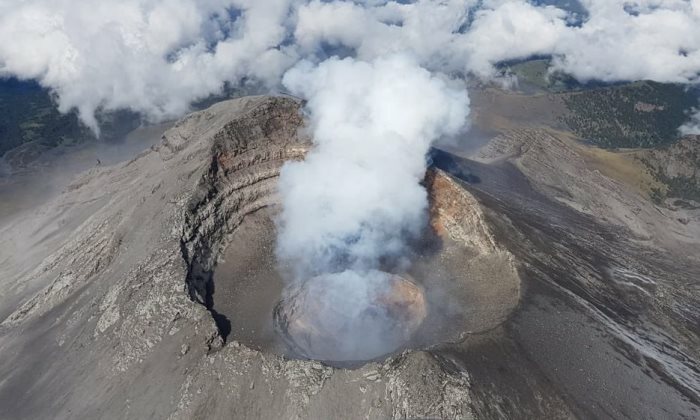 On August 18, 2018, a direct verification of the summit was carried out and it was confirmed that there was a new lava dome of approximately 55 m and a width of approximately 25 m at approximately 5 m from the surface of the lava. dome of 2010. It is estimated that the lava dome appeared around August 11, 2018, beginning with a large earthquake. The appearance of the lava dome marks the magmatic eruption phase. 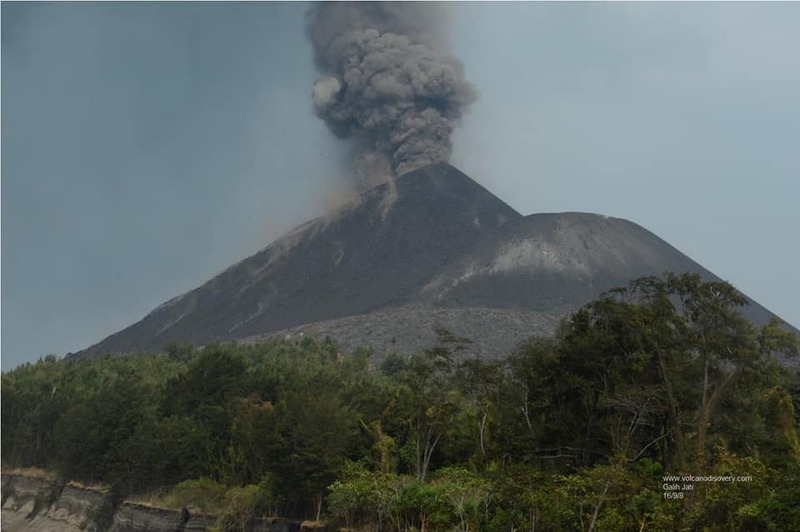 G. Merapi begins with an eruption that tends to be effusive. 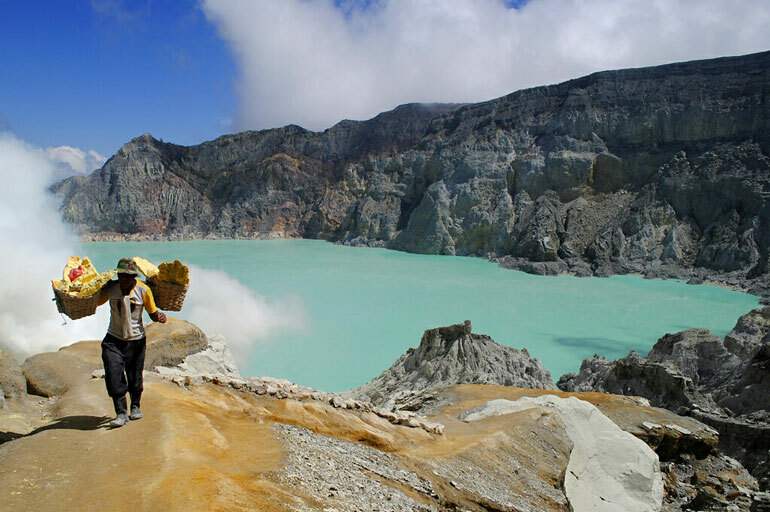 A radius of 3 km around the summit of Mount Merapi is not allowed for population activities. Residents in the disaster area III continue to be sensitized. Clear weather occurs in the morning and in the evening, the afternoon is foggy. The smoke from the crater is observed to be white, thin, with low gas pressure. 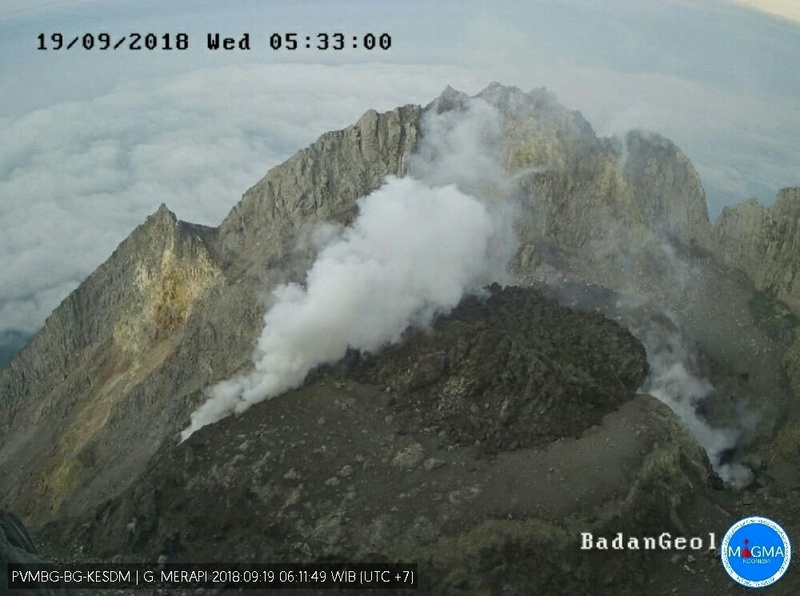 A maximum height of 250 m is observed from the Mount Merapi observatory post in Babadan on September 9, 2018. The morphological analysis based on photos of the Southeast sector shows morphological changes around the peak. 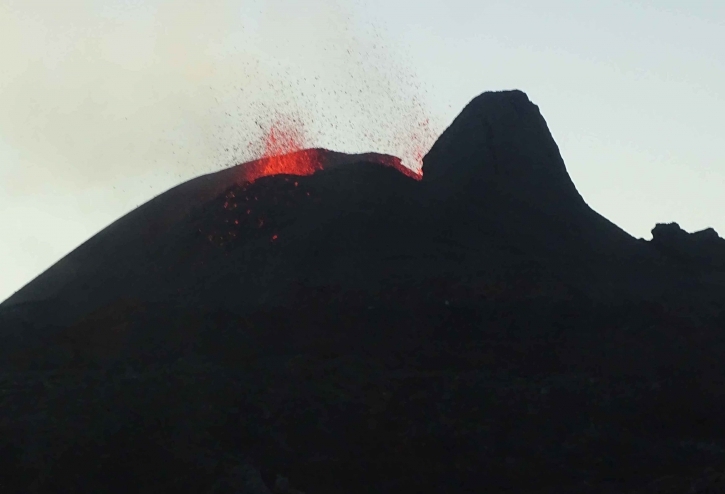 The volume of the lava dome on 13 September 2018 was 103,000 m3 with an average growth rate of 3,000 m3 / day, relatively lower than the previous week. 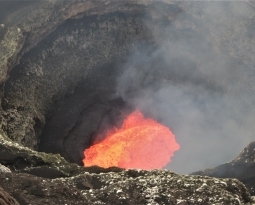 Currently, the lava dome remains stable with a low growth rate (<20,000 m3 / day). 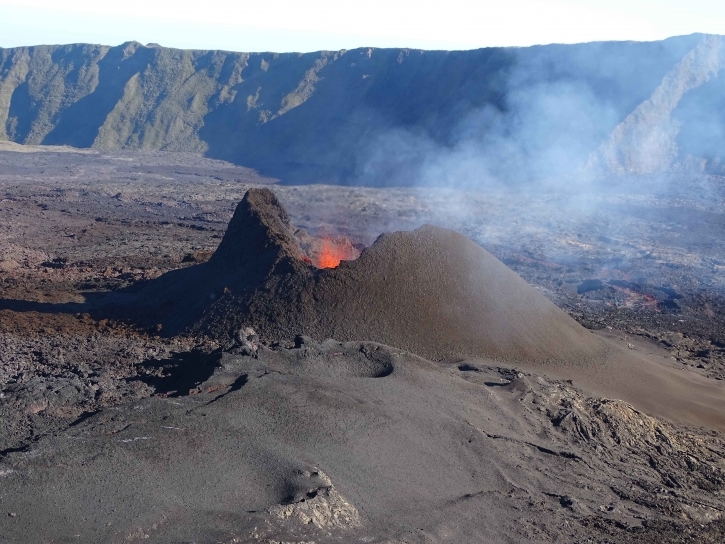 Veniaminof continues to erupt, feeding a lava flow that extends about 800 m (0.5 mi) down the south flank of its summit cone. 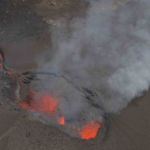 Recent satellite imagery from September 18 indicate that the lava flow front has not advanced, and the flow is confined to the summit caldera. Images from an FAA web camera in Perryville recorded incandescence at night throughout the week, when visibility was good, and a gas plume has been occasionally visible during clear daytime conditions. No significant ash emissions are being produced. Satellite data have shown elevated surface temperatures throughout the week, and seismicity remains elevated with continuous tremor being recorded locally. 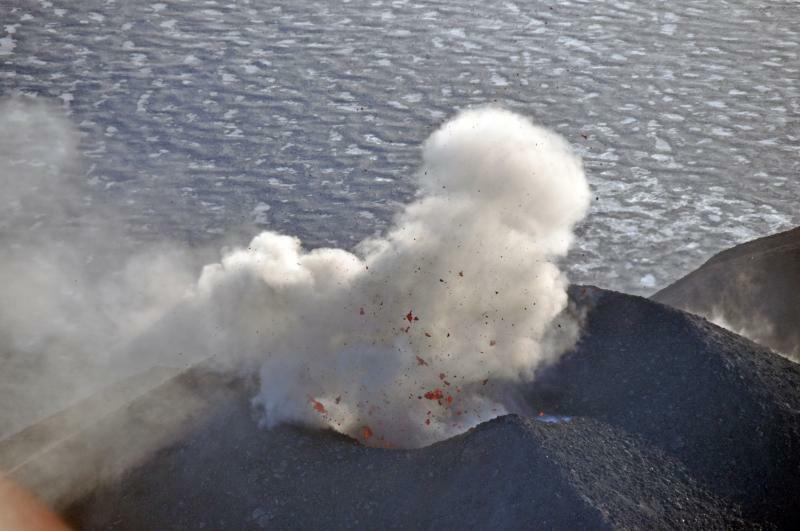 Strombolian explosions hurl bombs of lava from the vent of the intracaldera cinder cone of Veniaminof volcano. Issued: September 21 , 2018. Eruption with ash clouds at 22:48 UTC (05:48 local time). The eruption lasted for 115 seconds. Eruption and ash emission is continuing. Best estimate of ash-cloud top is around 1722 FT (538 M) above sea level, may be higher than what can be observed clearly. Source of height data: ground observer. Eruption recorded on seismogram with maximum amplitude 45 mm and maximum duration 115 second. 22 Septembre 2018. FR . Mexique : Popocatepetl , La Réunion : Piton de la Fournaise , Indonésie : Mérapi , Alaska : Veniaminof , Indonésie : Anak Krakatau . 23 Septembre 2018. FR. Colombie : Nevado del Ruiz , Hawai : Kilauea , La Réunion : Piton de la Fournaise , Alaska : Semisopochnoi , Kamchatka : Ebeko .